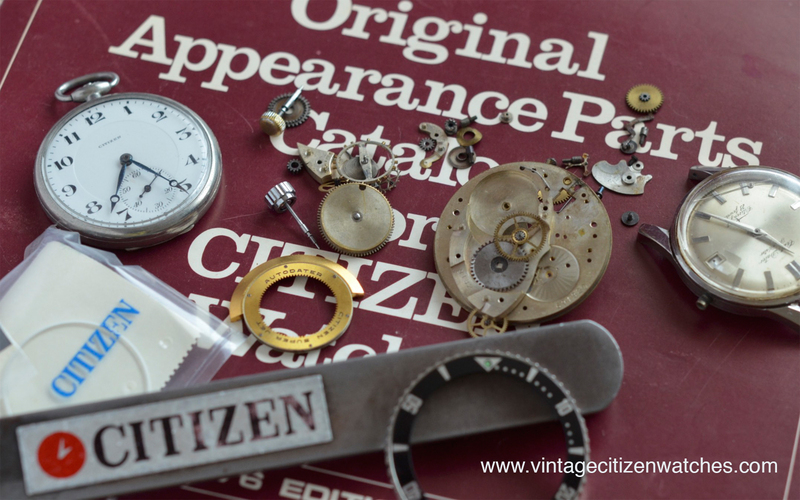 This entry was posted in automatic, calendar, chrono master, Citizen alarm watch, Citizen diver, Citizen history and data, Citizen pocket watches, Citizen worldtimer, day-date, hand winding, hand winding chronograph and tagged citizen bezel for sale, citizen crystal, citizen for repair, parts for citizen watch, repair a citizen watch, retore a citizen watch, vintage citizen bezel. Bookmark the permalink. Hello Jonas! Well… as you already guessed by reading the article… unfortunately I have no idea where to find one. Sorry, and good luck with your search! I am searching for an insert for Citizen 150m para water 4-740131 y I have the bezel just missing the insert. any condition. If I will find one I will let you know. Unfortunately I don’t have one right now. Thank you for the kind offer. The hunt goes. Feels like hunting for parts with my Doxa Subs unlike Rolex parts which are abundant. Hi. Can you help me source complete set of hands for my autodater? Would greatly appreciate it. Thanks. A question , its avaible a bezel of Citizen skin diver auto dater dial White? the grey bezel….